This month Juan Soto, Microsoft Access MVP, will be presenting at talking about how to install SSMA, configure it’s use, doing your first upload to SQL Server and how to leverage SSMA in subsequent migrations. 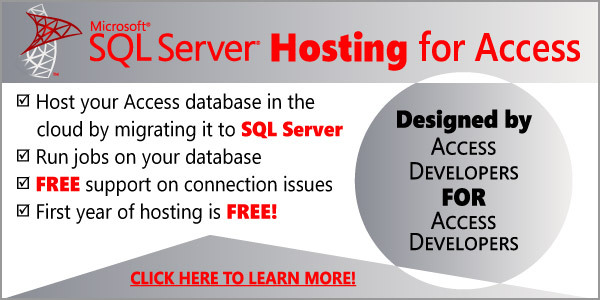 This is a must attend for anyone looking to migrate a solution to SQL Server. Interested in joining one of our virtual AUGs? We have groups across the globe in various languages. Sign up with free membership and receive email updates on future webinars held once a month here. Please tell other Access users about our group. Once you have attended one of our meetings and gained a feel for how this works, we encourage you to apply for a chapter through our Contact Us form. Remember, we are now using WebEx for hosting the meetings. How to join the meeting. I started with the firm as a Sales Assistant and over the years worked my way up to Senior Access developer, I’m certified on Power BI, with more certifications coming. I'm also the chapter coordinator for AccessUserGroups.org, a worldwide organization of Access virtual chapters that meet each month online to discuss a range of topics in different languages. I LOVE working with Access and learning new technologies!